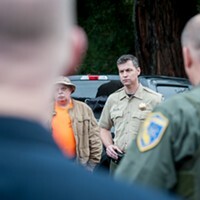 An officer guards the police line at the scene of a standoff in McKinleyville on Wednesday. 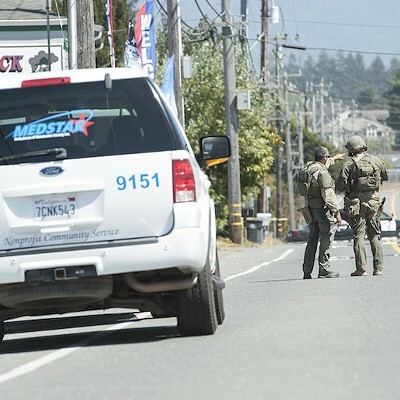 Multiple news agencies are reporting that the suspect in an armed Mckinleyville standoff that started yesterday morning and continued into the night was killed at about 2:30 a.m. in a shootout with police. 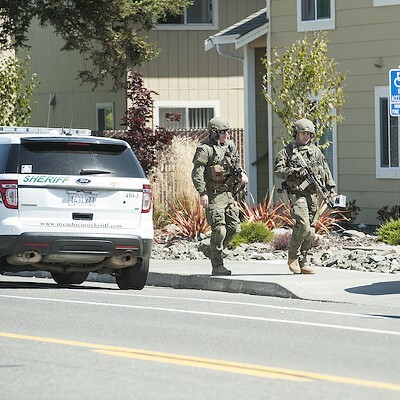 According to the reports, an unidentified woman fled the suspect’s apartment, after which he set several fires inside the apartment before he exited and began firing on SWAT team members staged nearby. Police returned fire and the suspect was shot and killed. 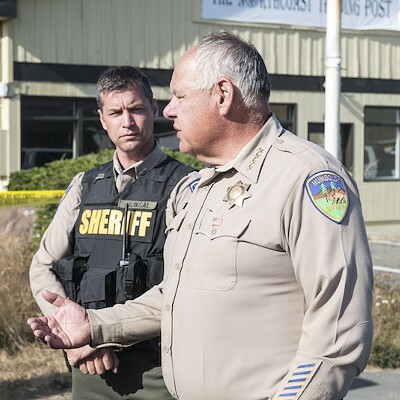 Humboldt County Sheriff Mike Downey just briefed reporters near the scene of the standoff in McKinleyville, saying crisis negotiators have been in communication with the suspect over the past hour and things are going in a “positive” direction. 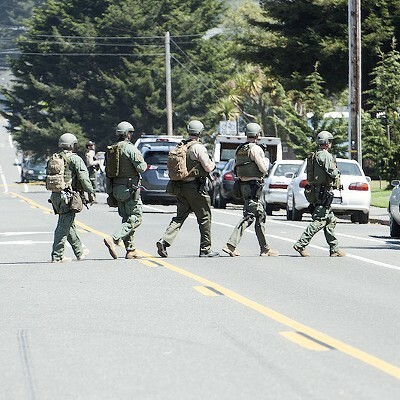 Downey said investigators have confirmed that the barricaded, armed suspect has a “significant other,” but have so far been unable to determine her whereabouts or whether she is in the apartment with him. 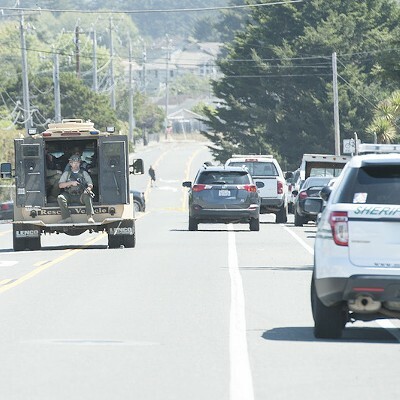 The sheriff also said that while his department initially contacted the Mendocino County Sheriff’s Office to request use of its Bearcat armored personnel carrier, its southern neighbors also offered their SWAT team, an offer Downey accepted. People evacuated from adjacent apartments are being debriefed by investigators before going to stay with friends and family. 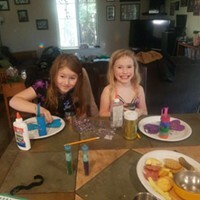 Downey said the local chapter of the Red Cross has also been contacted in case this turns into a incident that prevents people from returning to their homes for a prolonged period. 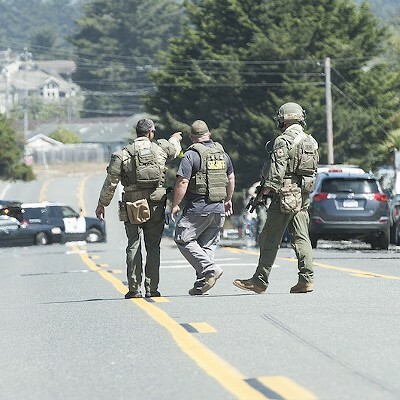 At a press conference near the scene of an armed standoff in McKinleyville, Undersheriff William Honsal said officers have identified the suspect and begun to evacuate residents from neighboring apartments. Honsal said his department won’t publicly identify the suspect, who’s approximately 55 years old, at this point. He said crisis negotiators and mental health workers have been unable to contact the suspect, who remains barricaded in his apartment. Honsal said he doesn’t believe there are any hostages involved. 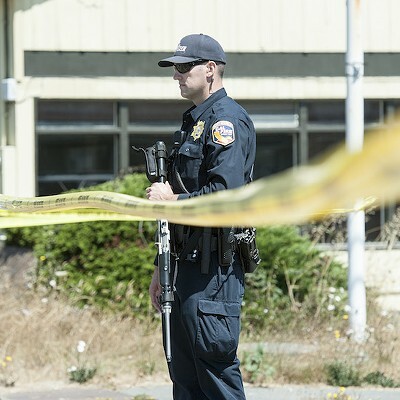 Officers have began evacuating neighboring apartments, and Honsal estimated about eight people were in apartments in the same building as the suspect, with eight to 10 more in adjacent buildings. 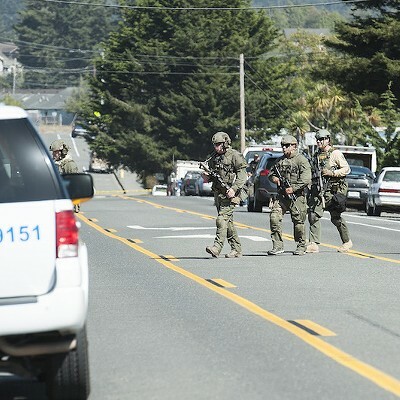 The evacuations are being carried out using a Bearcat — an armored personnel carrier that can stop riffle rounds — on loan from the Mendocino County Sheriff’s Office. 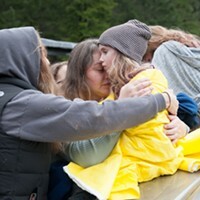 Honsal said the situation remains very dynamic. 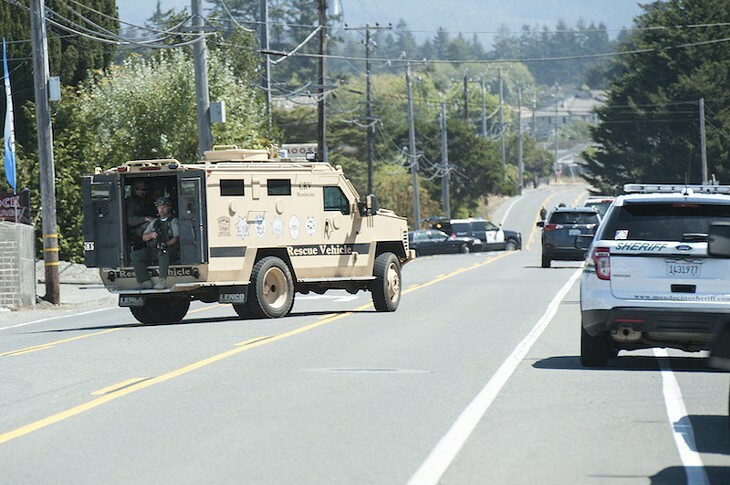 Law enforcement is in a standoff with an armed suspect in McKinleyville after he fired at responding deputies shortly after 9 a.m. today. 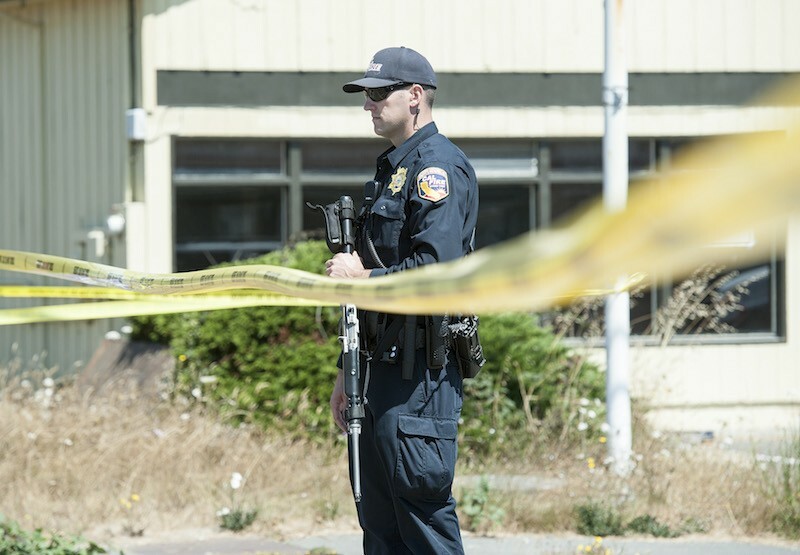 Humboldt County Undersheriff William Honsal said deputies were called to the Redwood Creek Apartments on Sutter Avenue around 9 a.m. to a shots fired report and learned that someone had fired rounds into the office manager’s apartment at the complex. 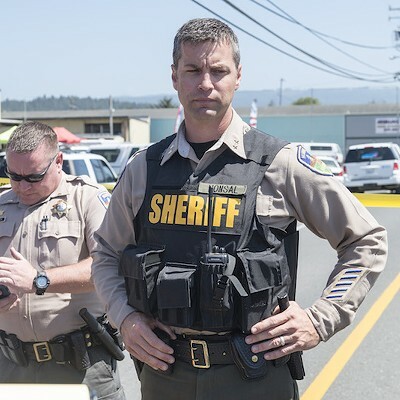 When deputies set up a perimeter around the suspect’s apartment unit, Honsal said, the suspect briefly exited his apartment with a rifle and shot at the deputies, at least one of whom returned fire. The suspect then fled back into his apartment. Honsal said nobody is known to have been injured in the exchange, but he said police were as yet unable to canvass adjacent apartments to see if anyone was hurt. Currently, Honsal said the suspect is holed up in his apartment and law enforcement has set up a perimeter around the complex. Honsal said those living in the area are being asked to shelter in place until teams can be sent to evacuate nearby residences as necessary. Mental health workers and crisis negotiators just arrived on scene, Honsal said, and plan to call the suspect shortly. Honsal said there “may be” other people in the suspect’s apartment, though he said he doesn’t believe it’s a hostage situation. Officers from a variety of agencies have arrived on scene and are staging nearby.